Order fulfillment is the relatively basic act of supplying and delivering the product a customer or client has requested, thus fulfilling the order. The term “relatively” is used here because order fulfillment in the global age is often a complicated, multi-step chain of processing, production, shipping, storage, and delivery that can take place across countries—even entire continents or oceans. As one might expect, dealing with order volumes in the hundreds or thousands across such a wide supply chain comes with costs that can make even savvy businesses balk. 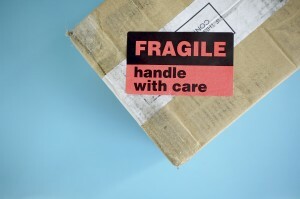 Shipping, receiving, order processing, storage, and delivery costs can quickly get out of hand. The available-to-promise process demands that exact inventory is available and real-time tracking is used to for complex and demanding customer requirements. Customers often impose their own demands, on top of all the security and accuracy measures that need to be taken. Just because it’s part of customer and employee service doesn’t mean it isn’t costing you. In order to stay competitive in the national or international arena, efficiency is crucial, and that means calling in some third-party providers. Lean Supply Solutions is a third-party fulfillment service provider that employs our Lean Methodology to ensure maximum value in operations. By overseeing all parts of the supply chain, from providers to recipients, savings can be found by adjusting, eliminating, or sometimes adding elements so that maximum value can be attained without negatively impacting the customer. By ensuring the right products are provided to the right customers at the right time, we offer consistent, predictable, and quality results. To learn more about the Lean Methodology and how we can use it to help your business, give us a call at 905-482-2590.